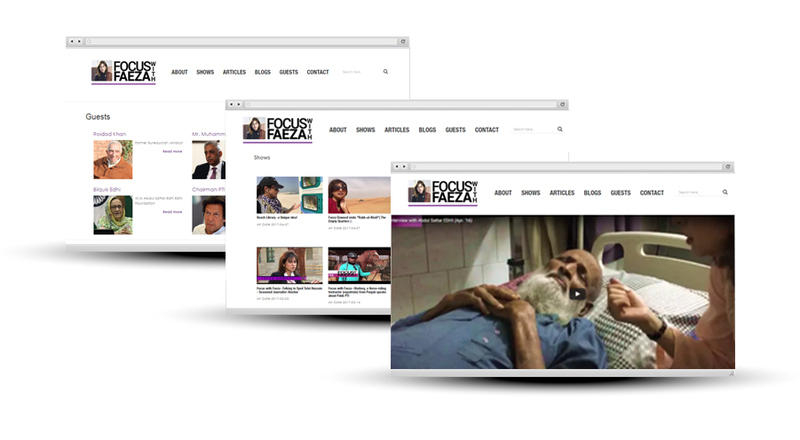 “Focus with Faeza” of “FWF” is the brand for the leading journalist and former ARY News talk show host Ms. Faeza Dawood. When Ms. Dawood approached inspurate, the only digital presence she had was a Facebook page and YouTube account. She had some very impressive content that was being underexposed. We offered to build her a website that would aggregate her entire YouTube content on a single platform, thus giving the content greater visibility and easy to navigate. The site is built on the robust and modular WordPress PHP/MySQL platform, on a clean and minimalistic design exclusively tailored to Faeza Dawood’s brand image. The site relies heavily on YouTube APIs and allows site visitors to easily interact and share shows on their respective social platforms. With additional functionality in the works as part of Phase II.